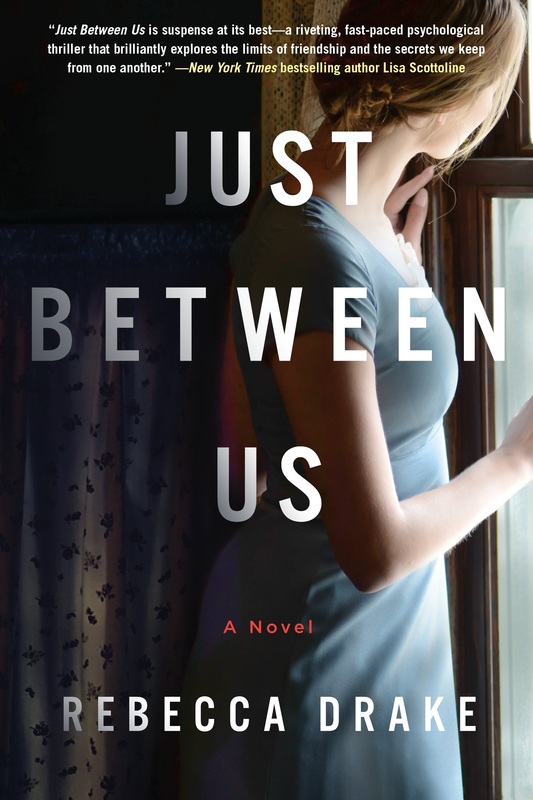 Just Between Us by Rebecca Drake tells the story of four friends, Alison Riordan, Julie Phelps, Sarah Walker, and Heather Lysenko. They live in the town of Sewickley in Pittsburg, Pa. and seem to have stable lives where their basic needs are more than just met. They have nice houses, cars, good schools, and friendship. During school days they get together at a small cafe called Crazy Mocha to catch up with each other after dropping their kids off. Their lives change from simple conversations to a whirlwind of terrible choices after Alison spots a bruise on Heather’s wrist while handing her a cup of coffee. T his one incident unravels a mountain of uncomfortable truths testing their friendship and confronting their own troubled pasts. It also leads to a deadly night that all enabled in small ways. Sarah is a former lawyer who is now a stay at home mom. She struggles with this choice from time to time, one of what could’ve been. Julie is a top realtor and often the decisive one. Heather is married to a top plastic surgeon and as the others like to point out often, is beautiful especially in comparison to themselves. She comes from humble beginnings, doesn’t have any viable skills but is continuously envied because of her looks. She also had a stint as a model during her younger years that’s often referenced. Alison is the last mom to join the group and can’t believe she has them as friends once accepted. She goes through a bunch of “what if I hadn’t” scenarios in her head as if she can’t believe her life is hers. The story is told from each characters perspective which at times is a bit confusing as the voices were often undistinguishable. Luckily, the chapters are named after the characters. Their distinct personalities only show when they interact with each other but when talking about their everyday lives they sometimes dwell on things that don’t necessarily move the plot forward or affects them personally. It does display how concern over another person can creep up into your daily routine, it just gets to the point of fanatical in certain parts. Sadly, the concern for Heather is greater than the concern the others have for each other. For instance, Heather is treated as fragile which gets the friends to a “we must help her, even if she rejects us” motto. Yet, Sarah’s character has a drinking problem that seems to be met with anger more than compassion. Some of their “secrets” seem like open secrets that others just didn’t notice. The book is a good read but not consistent in its intensity. There are parts that are page turners and parts that you might want to fast forward through. However, the intense parts are enough to make you want to finish the book. If you take a break or two you will inevitably want to go back to close the loopholes thrown in here and there especially the one at the end. Skipping to the last chapter won’t suffice. It may get you thinking about your own life and personal relationships. How far would you go to help a friend? How often do you believe the gaps you fill in other people’s stories without knowing the whole truth? How does this change your everyday decisions and judgments? How blindly do you trust your friends and how much of yourself do you reveal? As each friend gets to know another’s secret it’s met with “why didn’t I know that” shock, even though they themselves have a secret too. People often expect those around them to be what they think they are. It’s a good casual read and would be an interesting book club choice among friends who believe they’re as close as the characters believe themselves to be. Rebecca Drake is the author of the novels Don’t Be Afraid, The Next Killing, The Dead Place, which was an IMBA bestseller, and Only Ever You, as well as the short story “Loaded,” which was featured in Pittsburgh Noir. A graduate of Penn State University and former journalist, she is currently an instructor in Seton Hill University’s Writing Popular Fiction M.F.A. program. 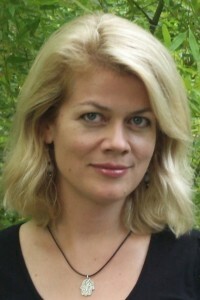 Rebecca lives in Pittsburgh, PA, with her husband and two children.